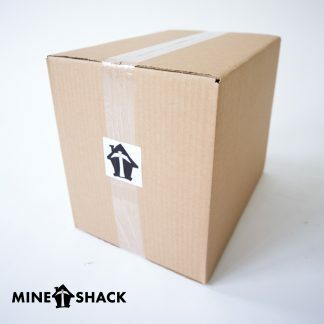 Mine Shack Riser 008S. Markkinan monipuolisin ja luotettavin riseri, versio 008S. 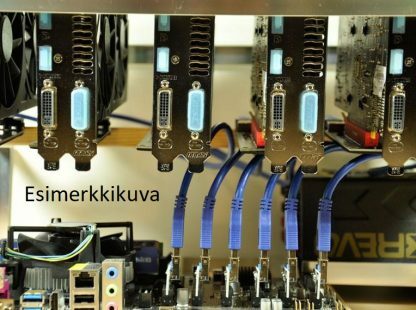 60 cm kaapelilla ja kulmaliitimellä. 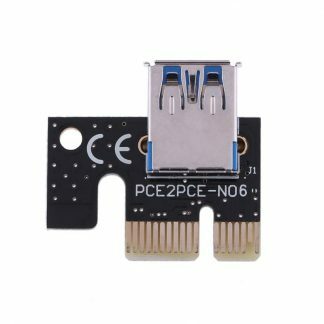 Virtaliittimenä käy sekä SATA, MOLEX että 6-pin. 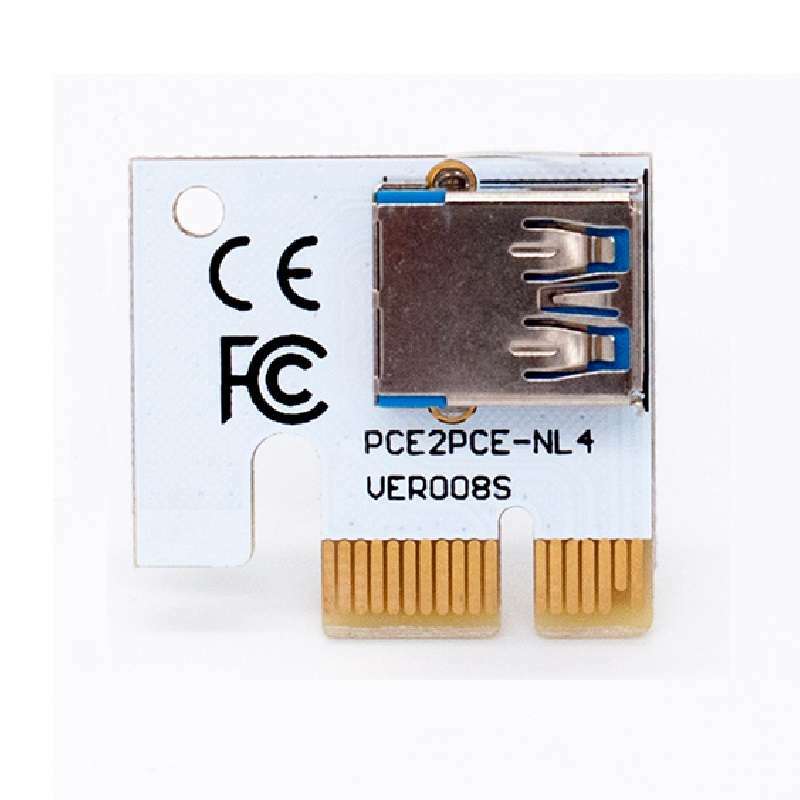 12 kk Takuu. 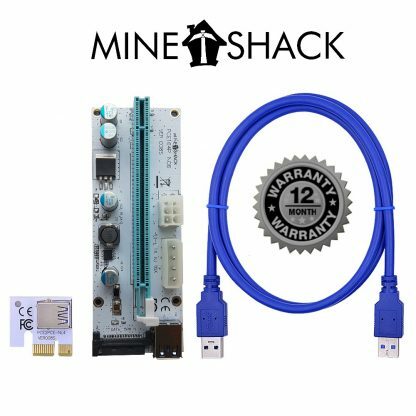 The “Mine Shack Riser PCIe x1 to PCIe x16 Version 008S” enables connection of several GPU’s to the motherboard. 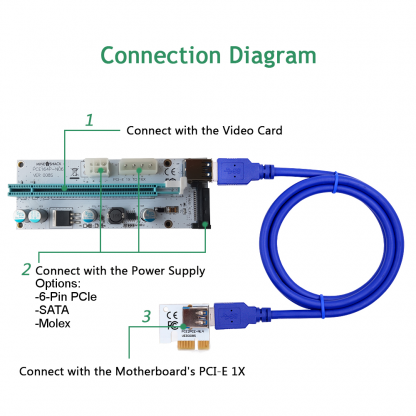 The riser is connected to a PCIe (x1 or x16) port on the motherboard and the GPU is inserted into the riser card. 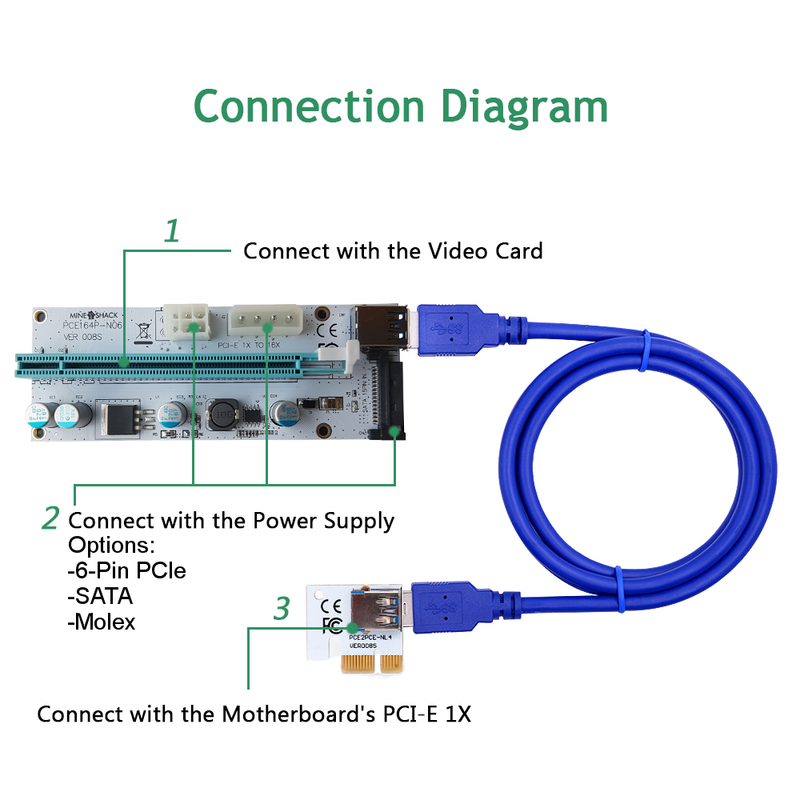 The connection cable is a 60 cm USB 3.0 cable which allows the connected GPU’s to be positioned according to your needs. 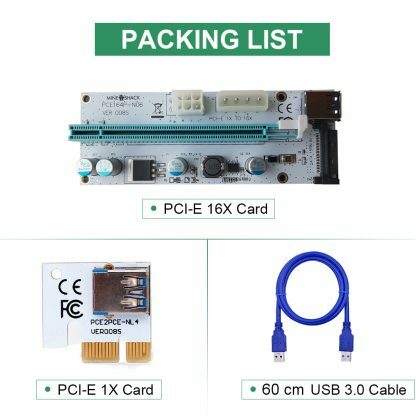 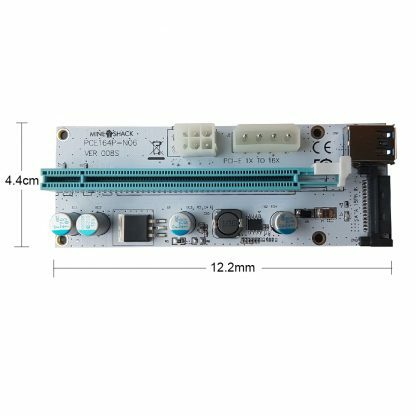 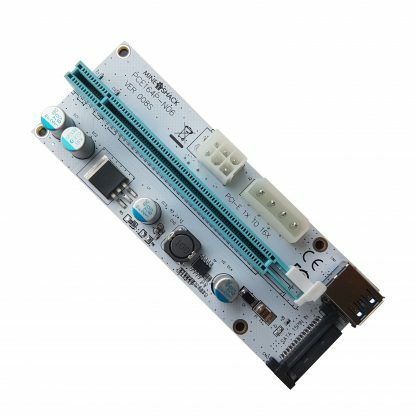 Version 008S is the most recent and reliable version and you can choose any of the SATA, PCIe 6-pin or 4-pin Molex connectors for power supply.